The Queen's Suite is a guest bedroom and sitting room located in the second-floor family quarters of the White House in Washington D.C. It's near the family bedrooms and across the hall from another famous guest room, the Lincoln Bedroom. Perhaps one of the prettiest rooms in the mansion, it received its regal name in the mid-20th century, inspired by the number of royal guests it has sheltered. Before the Roosevelt renovation of the White House in 1902, this room was used to house the President's secretary, a live-in job. During the Lincoln Administration, secretaries John Hay and John G. Nicolay slept in the room and used the adjoining sitting room as an office. When the West Wing was built, staff moved out, and the suite became a family bedroom. At some point thereafter, it became known as the Rose Room because the bed hangings and curtains were pink, red and white. A bed believed to have been owned by Andrew Jackson was brought across the hall from what is now the Lincoln Bedroom, and complementary pieces of Federal-style furniture helped complete the set. At some point the room's name was changed to reflect the number of royal visitors who stayed here, including Queen Wilhelmina and Queen Juliana of the Netherlands; Queen Frederika of Greece; Great Britain's Queen Elizabeth (the Queen Mother) and Queen Elizabeth II, as well as Princess Anne, who visited the White House with her brother Prince Charles in 1970. Not all guests have been royalty, of course. Family members like Anna Roosevelt, Franklin and Eleanor Roosevelt's daughter, moved into the room in 1944. She served as the President's assistant and when her mother was absent, Anna was the White House hostess. Notable guests have also stayed here, including Winston Churchill, who visited both before and after World War II. The Queen's Bedroom in 1960. Robert Knudsen. White House Photographs. John F. Kennedy Presidential Library and Museum, Boston. Public Domain. Another view of the Queen's Bedroom, 1960. Robert Knudsen. White House Photographs. John F. Kennedy Presidential Library and Museum, Boston. Public Domain. John and Jacqueline Kennedy stayed in the Queen's Suite at the beginning of his administration while the master suite was being redecorated. 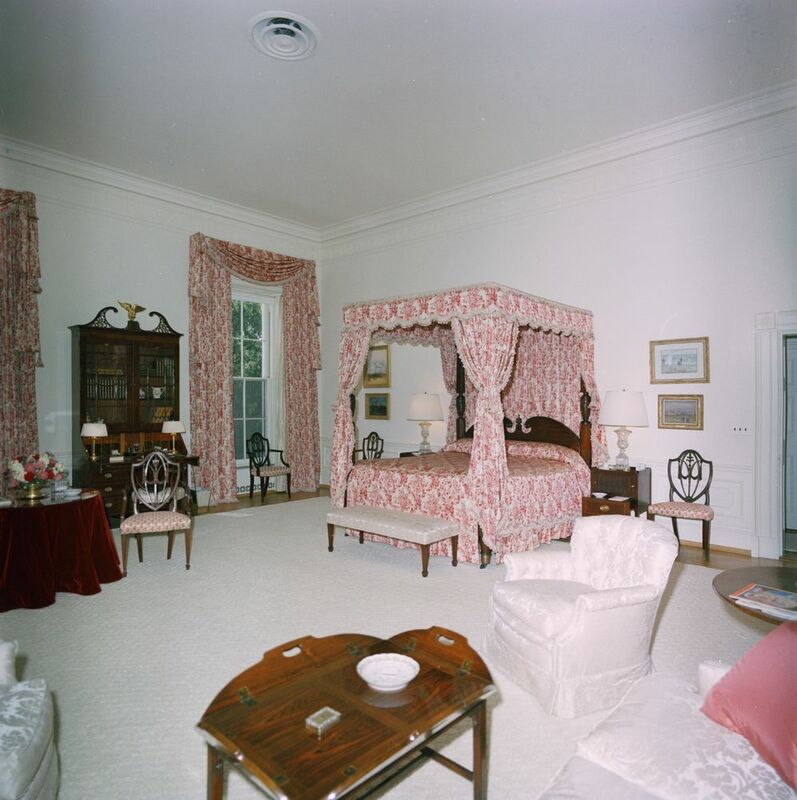 When they moved to the master suite, Jackie Kennedy added her own personal touches to the room, updating the curtains, bed hangings, upholstery, and carpeting. The Queen's Bedroom during the Kennedy Administration, 1963. Robert Knudsen. White House Photographs. John F. Kennedy Presidential Library and Museum, Boston. Public Domain. While the Queen's Bedroom remains decorated in warm, rosy shades, the adjoining sitting room is a stark contrast in color--but it is no less beautiful. 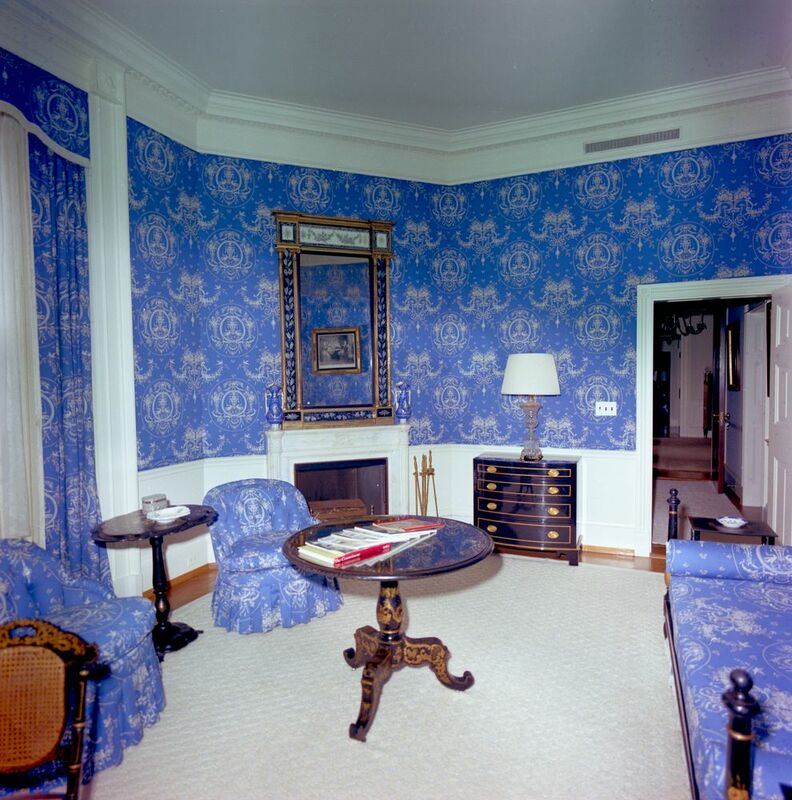 Mrs. Kennedy had the walls covered with heavy cotton Toile de Jouy fabric in a bold blue shade, with white wainscot and trim. Black lacquered furniture from the early 1800's completes the room. Queen's Sitting Room, White House, 1963. Robert Knudsen. White House Photographs. John F. Kennedy Presidential Library and Museum, Boston. Public Domain. 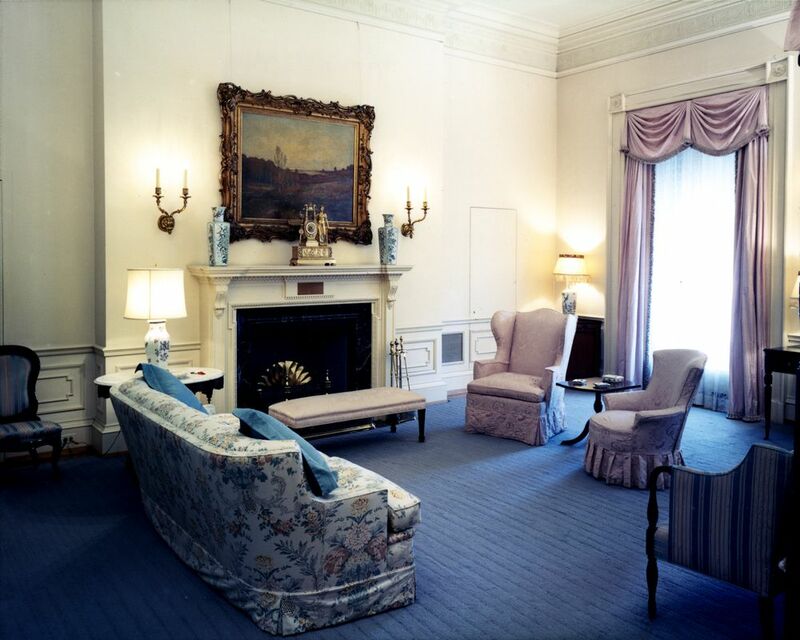 Lady Bird Johnson used this room as a retreat and a place where she could concentrate on work. The room still looks much the same today as it did in the early 1960's. 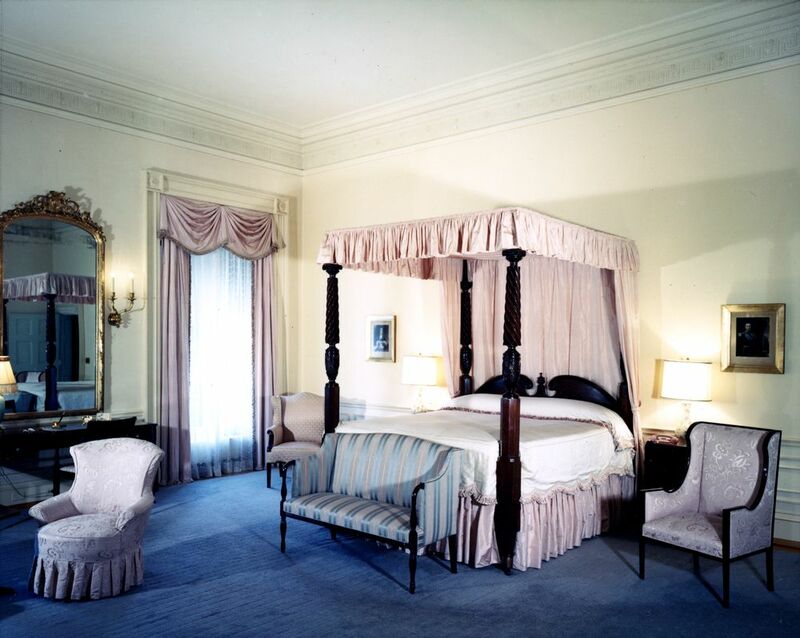 While the Queen's Bedroom might be lesser known than the Lincoln Bedroom, it is still a prestigious and lovely chamber for guests of the White House, and one steeped in history. 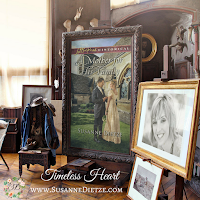 Susanne Dietze began writing love stories in high school, casting her friends in the starring roles. Today, she's the award-winning author of over a dozen historical romances who's seen her work on the ECPA and Publisher's Weekly Bestseller Lists for Inspirational Fiction. Married to a pastor and the mom of two, Susanne lives in California and enjoys fancy-schmancy tea parties, genealogy, the beach, and curling up on the couch with a costume drama and a plate of nachos. 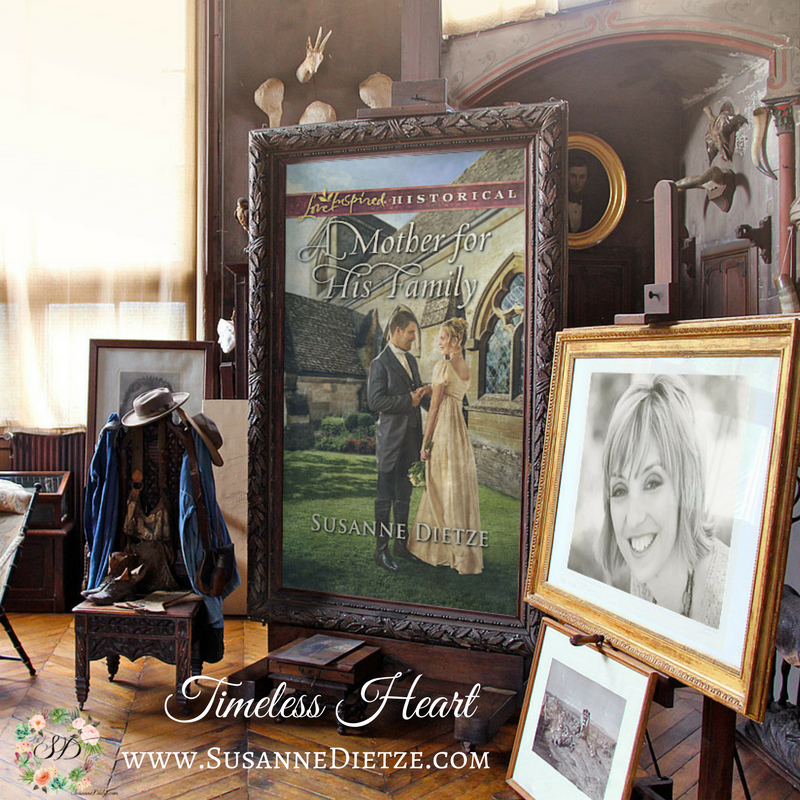 You can learn more about her and her books, including A Mother For His Family, on her website, www.susannedietze.com. What a wonderful post! We lived in the DC area for many years, but alas never got to the White House for a tour, so I enjoyed this virtual tour. Hi Linda! How wonderful to have lived near DC. I imagine you were able to do and see many things! I would love to see inside some of these rooms, too! Wow! That room is gorgeous in all of its' variations! I agree--it's lovely! And I love that sitting room. WOW--I could curl up in there and be quite content with a good book! It's cool to see inside the White House. The rooms are beautiful, although I'm not sure I'd be able to concentrate in the Queen's Sitting Room with the colors being so bold. Hi Vickie! I love seeing things inside the White House, too. The sitting room looks so cozy, but yes, the blue is quite bright and cheerful! How wonderful it must be to be able to sit in these rooms and think about what the walls could say if they could talk. I'm enjoying the various posts about the White House rooms. Thank you for sharing the Queen's Bedroom in a variety of times with pictures. Beautiful and peaceful room. I'm so glad to hear you're enjoying the posts! Thank you! I love this particular bedroom--I wish I was the sort of person who could come up with a design like that! Susanne, thank you for sharing these lovely pictures of the Queens bedroom in the White House. I really enjoy seeing them and your post. I live in Frederick, MD, about an hour away from DC, I remember visiting the White House when John F. Kennedy was President. I was 9 years old and don't remember much about it except that it is beautiful and large. One of my younger cousins was visiting from Virginia who knew a lot about everything regarding the White House (even at such a young age) and acted as "tour guide", so much so that we were told we had to move on as others on the tour stopped to listen to him.